FCR, the premier provider of outsourced live agent call center and business process solutions, announced today that it has assisted one of its clients, Jobvite, in winning one of the most coveted and prestigious customer service awards in the industry. 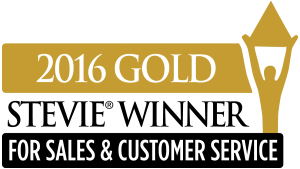 Jobvite was recognized for the third year in row with the 2016 Stevie Award for Customer Service Department of the Year. The San Mateo, California based company was the only company to receive a Gold award in the category of computer software companies with 100+ employees. FCR has partnered with Jobvite since 2013 to provide Jobvite’s customers with telephone, email, and chat support services. The Stevie Awards are the world’s premier business awards. The awards were created in 2002 to honor and provide public recognition of the achievements and positive contributions of companies and working professionals worldwide. Since its inception, the Stevie Award has become one of the world’s most coveted prizes in the customer service industry.